The Scottish Terrier is a sturdy little dog with short legs; the way it is groomed can make it look even shorter. The head is long in proportion to the rest of the dog. The skull is long, slightly domed and medium in width. The almond-shaped eyes are small and set well apart. The erect, pointed ears are pricked and set well up on the head. The muzzle is about the same length as the skull with a small stop, tapering slightly to the nose. Teeth meet in a scissors or level bite. The topline of the back is level. The tail is thicker at the base, medium in length and covered with short, hard hair, carried straight or slightly curved. The front feet are larger than the back feet and round in shape. Dewclaws may be removed. The compact, course, wiry coat is as hard as bristles with a soft, protective undercoat. The coat has a distinctive profile with longer hair on the beard, eyebrows, legs and lower part of the body. Colors come in black, wheaten, or brindle. There may be a little bit of white on the chest. Brave and alert, the Scottie is hardy and lovable. It is charming and full of character. Playful and friendly as a puppy, he matures into a dignified adult. The Scottish Terrier makes a very good watchdog. It is inclined to be stubborn, however, and needs firm, but gentle handling from an early age or it will dominate the household. Socialize well. This breed is sensitive to correction, therefore if you are firm and confident, the dog should respond to you. However, if you do not mean it when you tell him, "No," he will know it, and will not listen. Obedience training must be consistent but persuasive. Never hit a dog and do not play aggressive games with a terrier such as the Scottie, like wrestling and tug-of-war. He can challenge family members who have not established leadership over him. 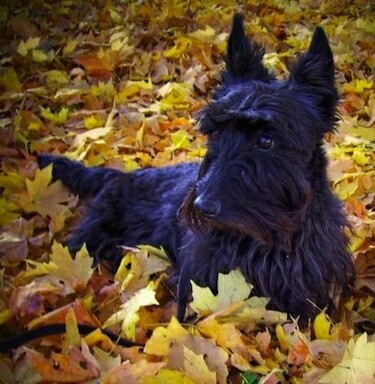 Lively, proud and intelligent, the Scottie has a reliable temperament. Likes to dig, enjoys walks, loves to play ball games, and is thoroughly sporty, home loving and independent. It has been described as the dog that can go anywhere and do anything—a big dog in a small dog's body. It is very sensitive to criticism and praise and therefore should be trained gently. These dogs make good house pets. Do not allow this dog to develop Small Dog Syndrome,human induced behaviors where the dog believes he is pack leader to humans. 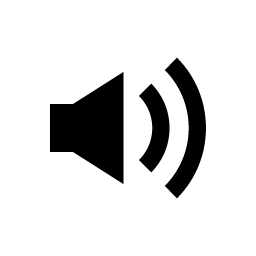 This will cause varying degrees of behavior issues including, but not limited to, being moody, snappish, stubborn, protective and obsessively barking. These are not Scottie traits, but traits brought on by the way the human treats the dog. Children need to be taught how to display leadership over the dog or the dog will not be good with them. They are usually not recommended for homes with younger children simply because most owners do not display enough authority over them, and the dogs take over the home. All of the negative behaviors can be reversed if the human changes the way they deal with the dog. The dog needs to clearly know the rules of the home. They need all members of the family to be firm, confident and consistent in their approach. The dogs need to be provided with a daily pack walk to reinforce leadership and burn both mental and physical energy. Some are prone to Scottie Cramp (a movement problem), Von Willebrand's disease, flea allergy, skin and jaw problems. These dogs are difficult whelpers. Prone to mast cell tumors. These are active little dogs that need a daily walk. Play will take care of a lot of their exercise needs, however, as with all breeds, play will not fulfill their primal instinct to walk. Dogs that do not get to go on daily walks are more likely to display behavior problems. They will also enjoy a good romp in a safe, open area off lead, such as a large, fenced-in yard. Regular brushing of the harsh, wiry coat is important and extra care should be taken when the dog is shedding. Bathe or dry shampoo as necessary. The dog should be professionally trimmed twice a year. The hair on the body is left long, like a skirt, while the hair on the face is lightly trimmed and brushed forward. This breed sheds little to no hair. 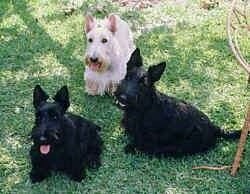 The Scottish Terrier was developed in Scotland in the 1700s. The breed was first called the Aberdeen Terrier, after the Scottish town of Aberdeen. George, the fourth Earl of Dumbarton nicknamed the dogs "little diehard" in the 19th century. Scotties first arrived in the USA in the 1890s. Scotties were used to hunt den animals, such as rabbit, otter, fox and badger. The Scottish Terrier was recognized by the AKC in 1885. Poochini the Scottish Terrier—"His AKC-registered name is Gryffindor Poochini Gurvey; we call him Poochini." "This is my beautiful Bonnie Mae. She is an 8-year-old Scottie. She has a very sweet disposition and loves to play ball and of course have her belly rubbed. Her confirmation is perfect according to the breed and everyone loves her feisty character. This photo was taken in our front yard by me. Bonnie Mae loves to talk long walks with me several times a day. She has been to obedience school and graduated with honors. When she is around other dogs she loves to prance and show off. She is quiet simply the love of my life!"